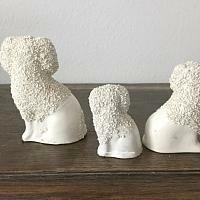 Antique Staffordshire Poodle Dogs, this family of three is just the right size for a papa, a mama and a little one. Wearing a hand painted silver luster locket, papa has that lovely bocage and presence to indicate he is the head poodle. The next dog, Mama, wears a simple gold collar. 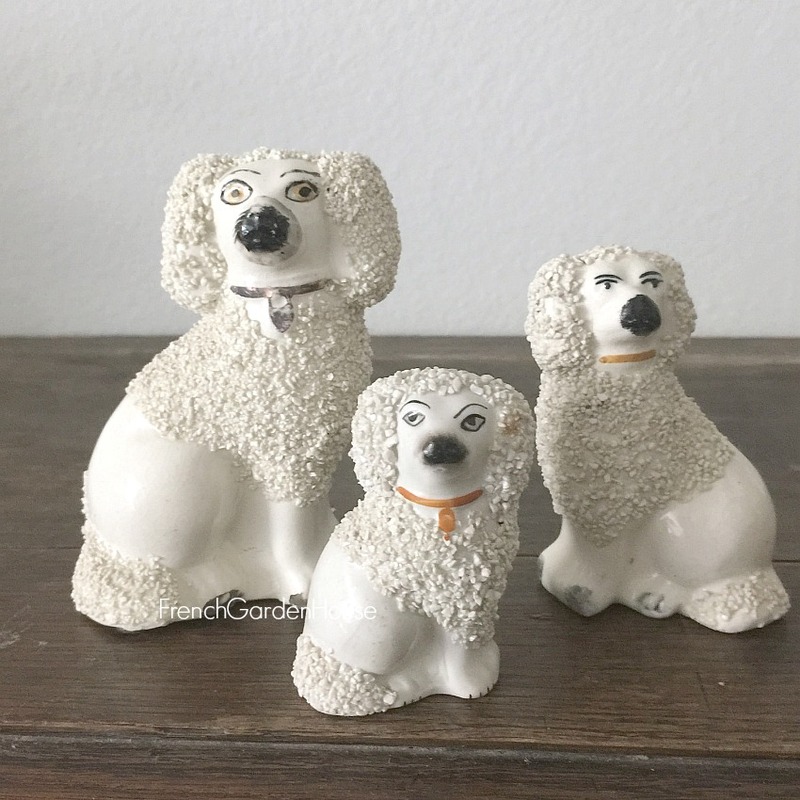 And finally, the little poodle has a little locket, each one of these charmers have hand painted features and the firing hole in the bottom like you want to see these older collectable pieces. They have been together for a time, I did not want to separate them, they are used to being together! So decorative and ready to make you fall in love. 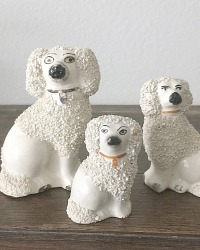 A wonderful addition to your collection of English antique Staffordshire spaniels and other dogs. The smallest poodle is marked with the makers logo for Kent. 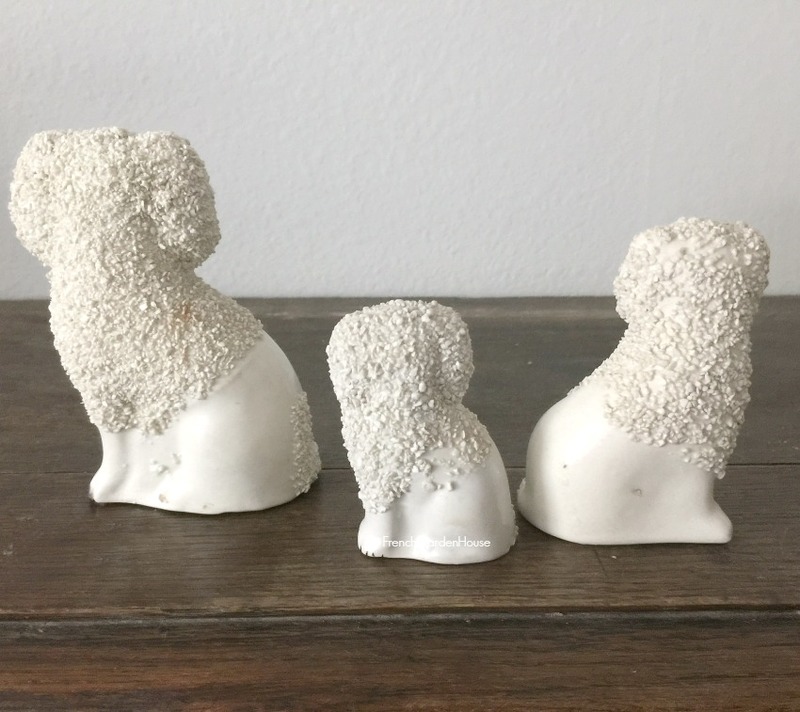 Sold in a set of three. Measure: Papa: 5" x 2-3/4" x 2"; Mama: 4" x 2-1/2" x 1-1/2"; Child: 2-3/4" x 2" x 1-1/4".